The B.C. 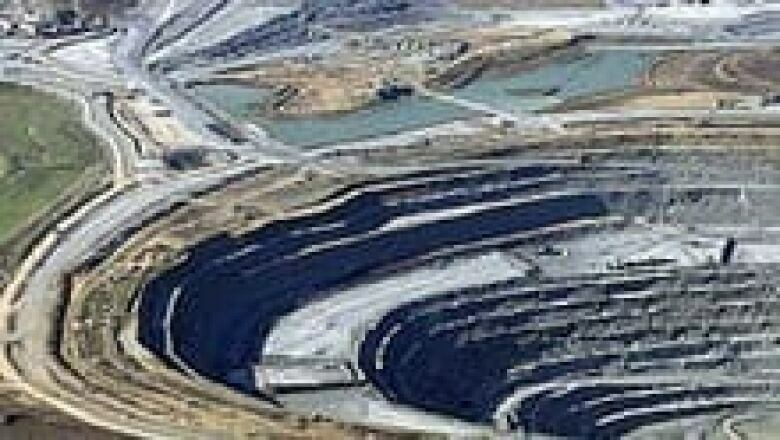 government has denied an environmental assessment certificate for a proposed mine for only the second time in the province's history. The planned Morrison mine, a proposed copper and gold operation in northwest B.C., was scuttled after the government announced Monday there was concern the project could endanger salmon in the Skeena River. Pacific Booker Minerals Inc. had proposed the mine at Morrison Lake, a 15-kilometre-long lake surrounded by Crown land near Smithers. The lake is at the headwaters of the Skeena River, which produces the second-largest number of sockeye salmon in B.C. "This is a part of the province that has a genetically unique species of salmon that could be put at risk," said Environment Minister Terry Lake. Lake said there were many factors about the proposal that took him and Mines Minister Rich Coleman out of their comfort zone, including a five-square-kilometre liner of the mine's tailings pond. "This one simply had too many risks associated with it. We didn't have a high enough confidence level to give it a 'Yes'," Lake said. Pacific Booker had planned to dig out 30,000 tonnes of copper and gold ore from the site each day over 21 years. The proposal included a processing plant, mine facilities, sewage and waste water management facilities, explosive and fuel storage and a tailings storage facility. The B.C. government has faced heavy pressure recently to reveal its stand on the environmental impacts of the proposed Enbridge pipeline between Alberta and B.C. Lake said one had nothing to do with the other and each project is judged on its own merits. "It would send a very negative message to the investor community if we were to pick things to say 'No' to just to make a point." A federal environmental panel hasn't yet issued a decision on Pacific Booker's project, but Lake said the provincial government considers the current mine proposal finished. If the company wants to continue to pursue the mine, it would have to reapply and start the process over again with a new proposal. "Obviously it would have to look substantially different than this one in order to provide the confidence that it could work." Lake said several of the nearby First Nations had also raised concerns about conservation of habitat and fish in the area if the mine was approved. The B.C. Liberals made speeding up the permitting process for new mines part of their jobs strategy announced last fall. The government said then that it had a goal of giving eight new mines the go-ahead by 2015, however, the operations were not named. B.C. Premier Christy Clark said Monday the rejection shows the province has a rigorous environmental process. "I hear our critics talking about how our environmental process approves everything and that's just simply not true." The only other mine project rejected through the environmental assessment process was the $8 billion Kemess mine proposal five years ago.